The National Theatre Company, currently based out of the National Theatre on the South Bank, has a long and problematic history. 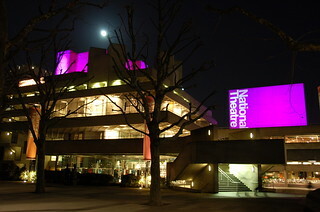 The Company’s development can be tied to recurring difficulties in setting up a government subsidised National Theatre, which ultimately took over 100 years to establish a permanent site within London. Now associated with some of the United Kingdom’s most significant contributions to world theatre, the National Theatre Company’s development can first be viewed against 19th century attempts to create a theatre. A proposal for a subsidised theatre for London was first made in 1848, but took until the end of the century to gather steam. 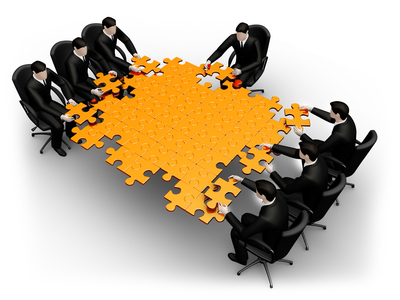 Various groups were involved in developing plans with a succession of governments, which also included setting up a Shakespeare Memorial National Theatre. Donations and support from figures such as George Bernard Shaw saw more concrete plans emerge by the 1910s, before the First World War delayed an initial £500,000 site planned for land adjoining the British Museum in Bloomsbury. From 1918 new plans were made to commission architectural designs and find a permanent site for the National Theatre, with ideas including Victoria Station and Charing Cross Bridge, as well as the West End itself. These plans dragged on into the Second World War, with plans to open a new site near to the Victoria and Albert Museum in South Kensington put on hold. By 1962, a National Theatre Company and Council that featured Laurence Olivier as artistic director had turned their sights to the South Bank. Company performances were temporarily based out of the company’s original home in the Old Vic while the theatre endured ongoing construction. The company gained success in the 1960s for performances of Shakespeare, Beckett and Chekhov, while hosting visiting directors and companies, and travelling the world. Continued funding pressure saw continued difficulties with developing the purpose built theatre, which would extend to 1976. By that time the Company had won acclaim for new plays by Tom Stoppard, with Peter Hall taking over from Olivier as artistic director in 1973. The £16 million National Theatre opened in 1976 with three internal stages: the Oliver, the Lyttelton, and the Cottesloe. Over the next ten years the National Theatre Company and the Theatre negotiated cuts and criticism for controversial productions, while maintaining a regular program of domestic and international shows featuring new talent such as Ian McKellen. Richard Eyre became artistic director in 1988, and the Company maintained a diverse range of tours, adaptations, and international festivals throughout the 1990s. Trevor Nunn took over as artistic director from Eyre in 1993, and was replaced by Nicholas Hytner in 2003. During the 2000s the Company celebrated the 25th anniversary of the South Bank theatres (2001), and successfully introduced cheap seating options, as well as furthering links with the West End and US producers. Recent successes have included His Dark Materials, a summer entertainment Deck from 2008, and War Horse, as well as touring shows and revivals. Theatre enthusiast Christina Appleworth reviews the history of the National Theatre Company from the early years through to the ongoing success! Visit London Theatre Tickets Direct for theatre tickets to London musicals and plays, discount offers, and show and meal tickets!